Hello! My name is Daniel and I’m a Coach here at Fight Tonight CrossFit. I am a Crossfit Level One Trainer, Crossfit Kettlebell Trainer, CrossFit Gymnastics Trainer, and have experience training Jiu-Jitsu with 10th Planet and Lotus Jiu-Jitsu in Miami. I first heard about CrossFit from my father when I was deployed in Iraq. At the time he was 53 years old and not in the most ideal of physical conditions. He was a career fire fighter and investigator at the time and wasn’t living a healthy and active life. At the time I scoffed him off and saw it as another fitness fad. However as time went on I begin to witness changes in him everytime I would visit home on leave. Each time I came home he would be slimmer and looking more fit. Eventually my sister begin attending the same Box as him, CrossFit Kilo (Cedar Falls, IA), and she begin toning up and gaining muscle. Fast forward to 2013 and I’m home on leave, preparing to PCS to Korea after living fat and happy in Miami for over a year, and I notice my sister and my Dad are both getting into ridiculous shape. And I take a look at myself and realize: I’m 24 years old, overweight for my size (178lbs at 5’6), and unhappy with it. 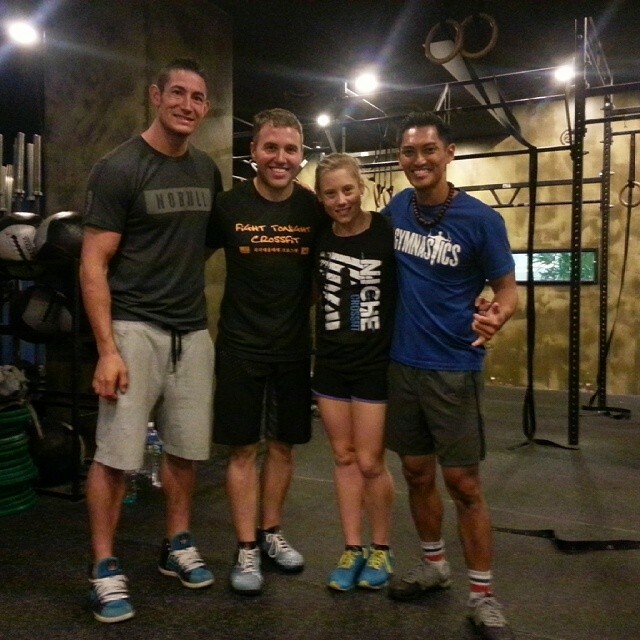 I then PCS’d to USAG-Yongsan in Seoul, Korea where I finally decided to dive right into the world of CrossFit. I attended the August Fundamentals class and I was instantly hooked. Through the guidance and mentorship of all the previous and current Coaches at Fight Tonight I have progressed from an extremely uncoordinated, unfit shlub to a person who’s striving to live a healthier and fitter life and live each day better than the previous day. I’m now at a healthy weight (155-160lbs), and in the best shape of my life. You all motivate me day in and day out. See you at the Box.